What and how do we pray for believers in a country that almost tied North Korea for the No. 1 spot on the 2019 World Watch List for the second consecutive year? With more than 36 million Muslims and only several thousand Christians in Afghanistan, these faithful followers of Christ are up against persecution from both government and tribal society. Because Afghanistan is an Islamic state by constitution, other religions such as Christianity are seen as alien. 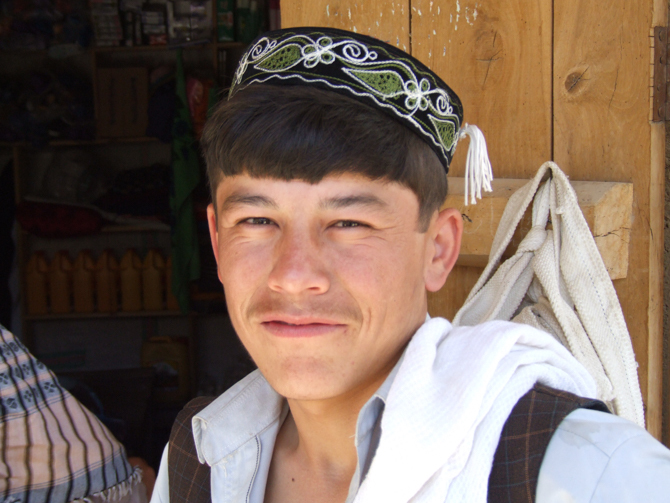 There are no church buildings in Afghanistan and many Christians are cut off from underground networks of believers. They feel isolated and unsure whom to trust. Pray that the secret church there would grow in unity and in numbers. Afghanistan is No. 2 on the 2019 World Watch List for good reason. Christians are extremely vulnerable. Their families feel compelled to save the family honor by forcing believers to reconvert to Islam. If these efforts are unsuccessful, Christians may be disowned, banished, abused, kidnapped or even killed. The authorities and extremist groups form another threat to the lives of Christians. Pray for the safety of Christians and for strength to remain faithful in the midst of their persecution. Pray that extremist groups like Islamic State would not get a stronghold in Afghanistan and for this war-ravished country to know peace. Women in Afghanistan have few rights; many are denied even basic education or medical care. They are often neglected, abused and mistreated. and authorities offer no protection. Pray that Afghan women would be protected and honored and that through the saving power of Christ, they would know the love of our Father in Heaven. Afghanistan is one of the biggest exporters of drugs. The corruption and drug trade threaten the country’s development. Pray that Christ would break the power of corruption and drugs and that Afghan Christians’ lives of godly integrity would be beacons of hope. Thank God for the many Afghans who are listening to Christian radio stations or downloading Christian materials from the Internet. Some are genuine, and often isolated, believers; others are disappointed with Islam and want to know more about Jesus Christ. Pray that God would change lives as the Word is preached through these media outlets. Each day, an average of 11 Christians lose their lives for their faith. Though “persecution incidents” often go unreported, the pain and trauma facing those who are left behind are immense. Pray that God would comfort the families of martyrs and strengthen their faith so they can endure in these difficult times. Christians from the growing church in Iran often bring the gospel to Afghanistan. Pray with Iranian believers who are sharing their faith in Christ and the hearts of Afghanistan men, women and children. Ask God to open their eyes to Jesus’ love for them as they learn about Christ and hear His gospel. Pray that God will raise up mighty warriors among indigenous believers to fight for Christ’s kingdom by praying, preaching the Word, and making disciples. Pray for these secret Christians living in areas controlled tightly by radical groups like ISIS or the Taliban. Pray for protection and opportunities to find fellow Christians. Father, strengthen us to pray faithfully for believers in Afghanistan, that they would be encouraged and strengthened each day with your mercies that are new every morning. We pray for the lost that they might know Christ and turn their hearts to worship and serve Him. And we pray for the nation that it would be freed from the tyranny of the Taliban and extremists and that the Word of God would spread across the land in saving power. In the name of Jesus who reigns over all His creation, Amen.